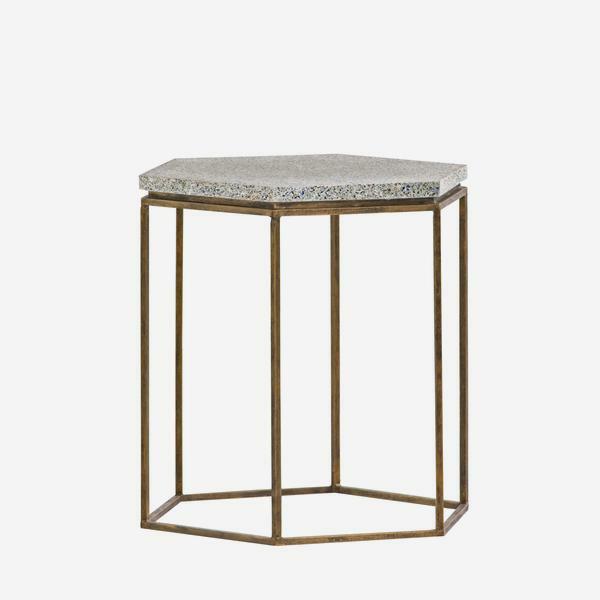 A multi-coloured terrazzo side table with a hexagonal vintage bronze finish frame. Tibby adds a hint of candy colour to a room with its flecks of green, blue and amber glass scattered in its white resin top. 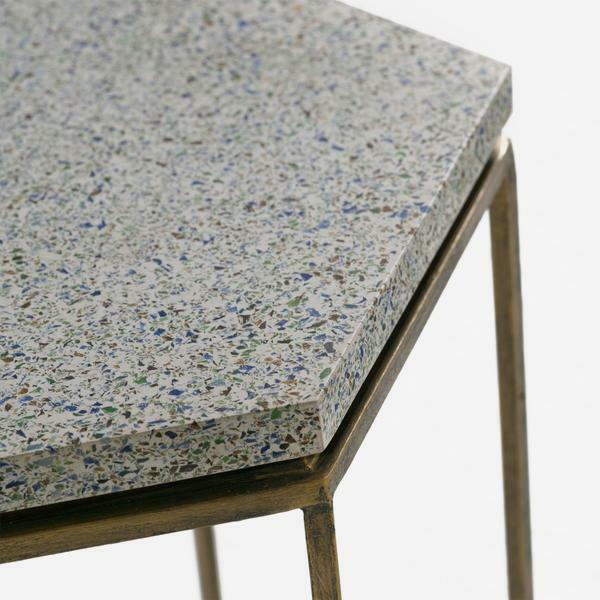 With the stylised look of a 70s worktop this is a unique piece suited for traditional and contemporary interiors alike.